Beach Fun with Laura and Tiki, I Love You! Hello everyone, it's Laura here to share another project in my summer mini album. 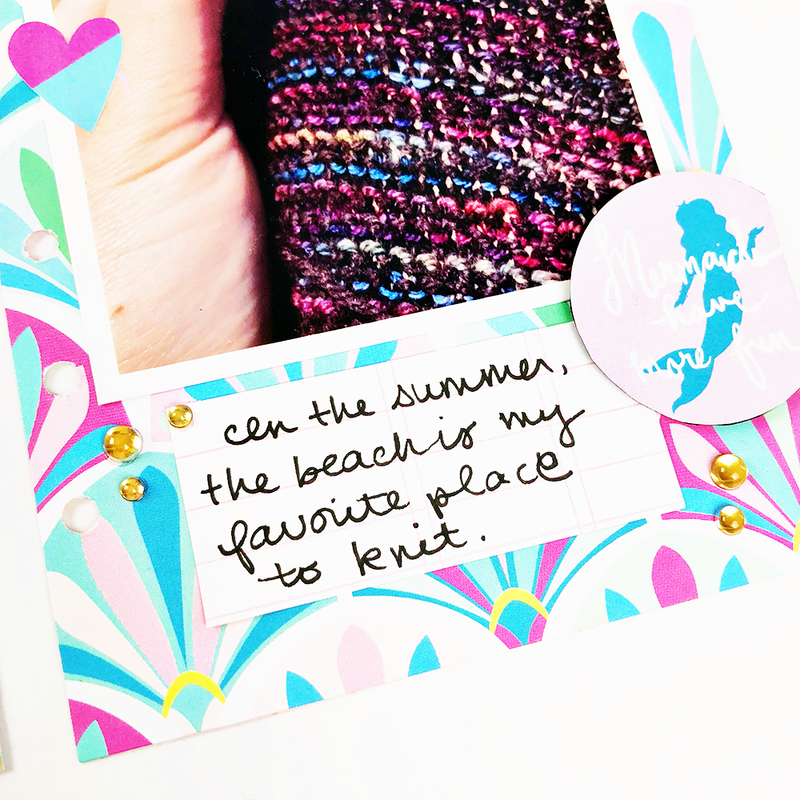 This time I decided to create a page about one of my favorite summer beach activities--knitting! 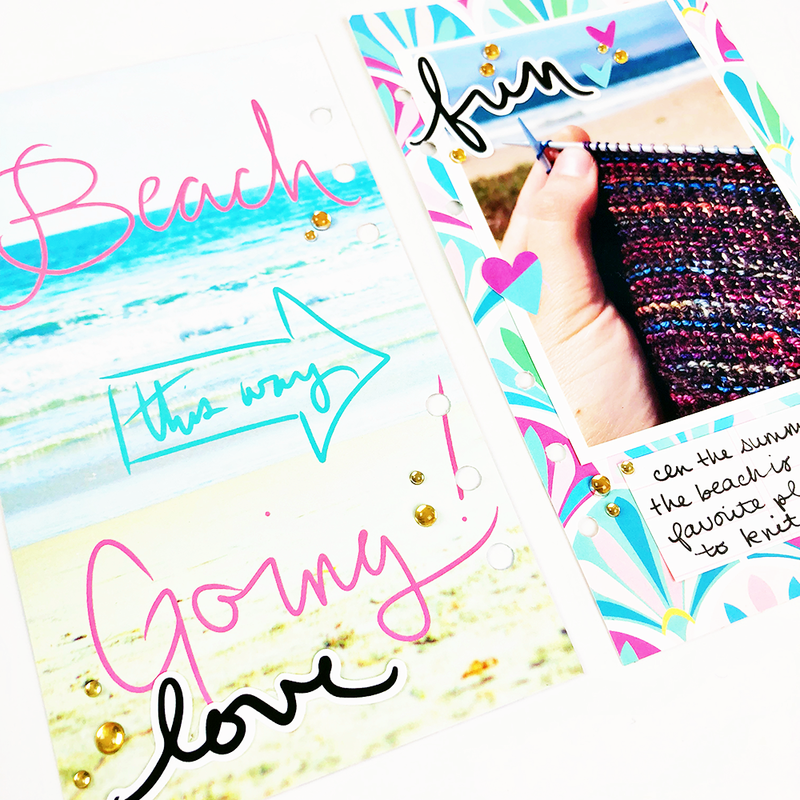 You may not think of knitting as a typical beach activity, but here in Northern California beaches tend to be cold year round, so even in the summer, I tend to bundle up and bring a project to enjoy while visiting the beach. To document this part of summer, I used the B side of the Aloha 12x12" paper, which I cut down to be the same size as one of the personal planner inserts. For some dimension, I put one of the stickers on some card stock and popped it up on some foam dots. I added die cut words to each page and added my journaling. This page came together so quickly and even though I only had a few minutes of craft time I was able to add another page to this mini album. What activities do you enjoy in the warmer months that might not be considered typically "summer"?